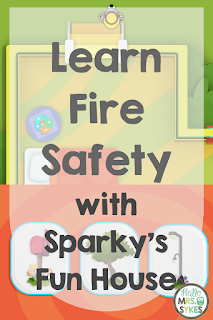 Here are my favorite learning activities for elementary classrooms from SparkySchoolhouse.org and Sparky.org. 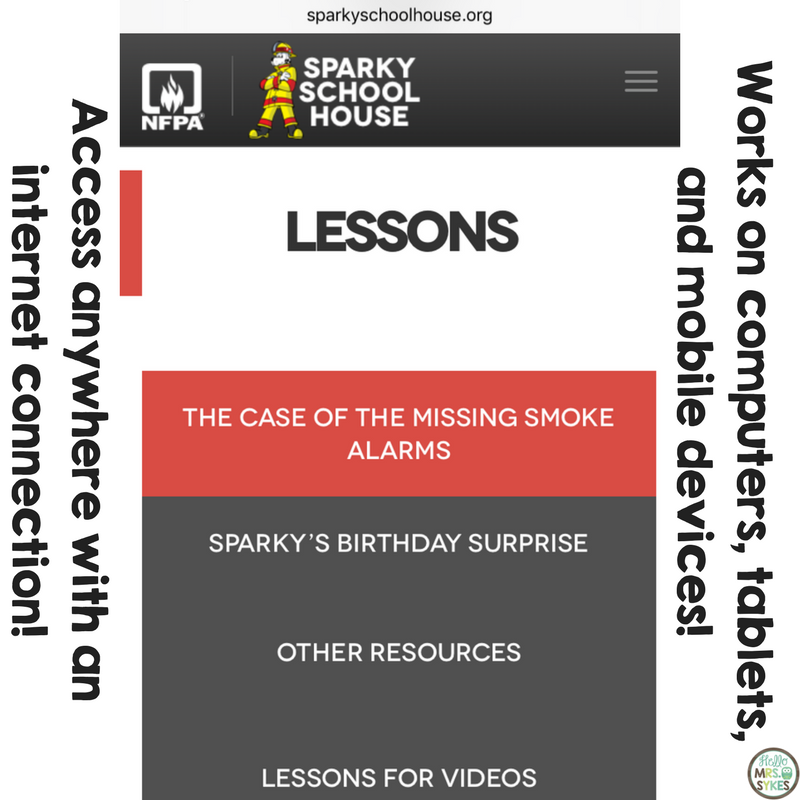 SparkySchoolhouse.org - The teacher portal is your first stop for videos, songs, apps, and printables. 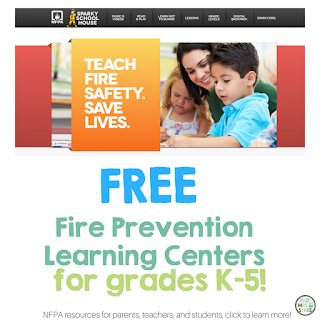 Recommended for teachers, parents,and caregivers. Check it out! 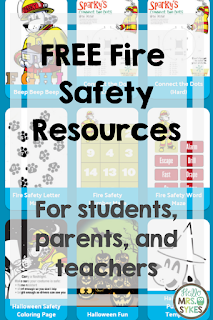 This section includes a teacher guide to Teaching Fire Prevention Week, a how-to and design template for students and families to create a home fire escape plan and parent resource letters in both English and Spanish on the importance of fire safety and prevention. 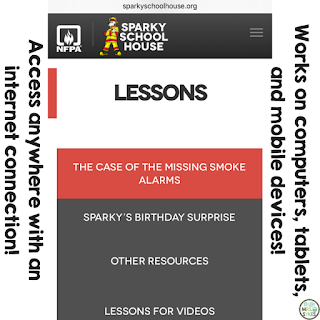 Sparky's Fun House Game is a web-based game for students to get Sparky out safely to the meet up spot when the fire alarm sounds. 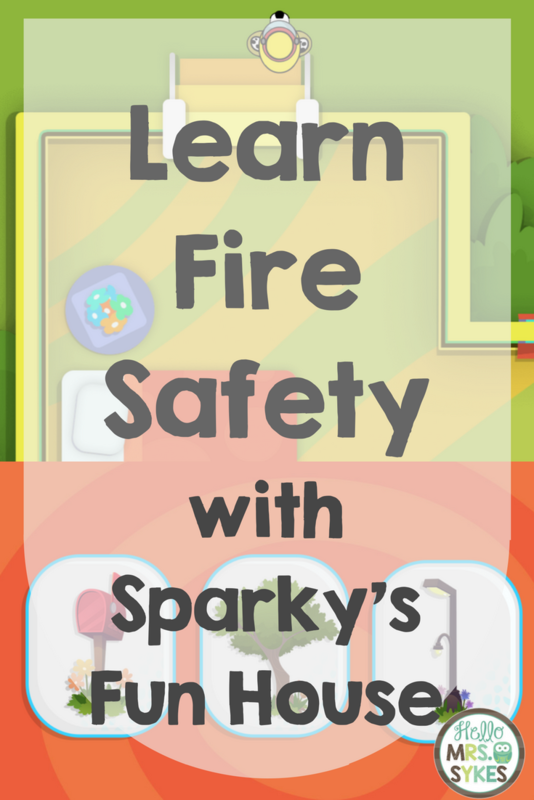 Sparky has several mini-games which allows students to toss balloons to dunk Sparky in the dunk tank, solve addition facts to shoot robots water grenades and send Sparky on a roller coaster ride by spelling words correctly! 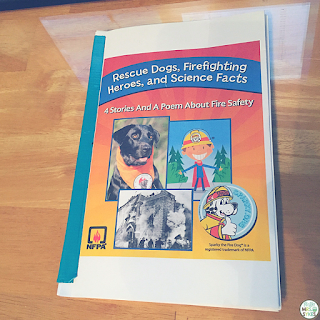 Recommended for grades K-2. My favorite resource on this site, of course, is the free e-book: Rescue Dogs, Firefighting Heroes, and Science Facts. 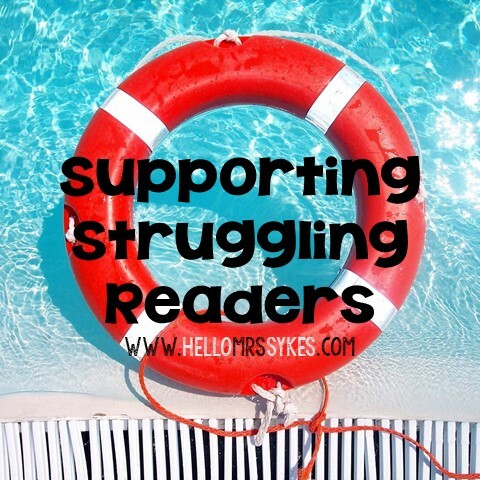 Geared towards upper elementary readers, the book includes 4 short stories, a poem, and discussion/comprehension questions; perfect for a small group assignment. 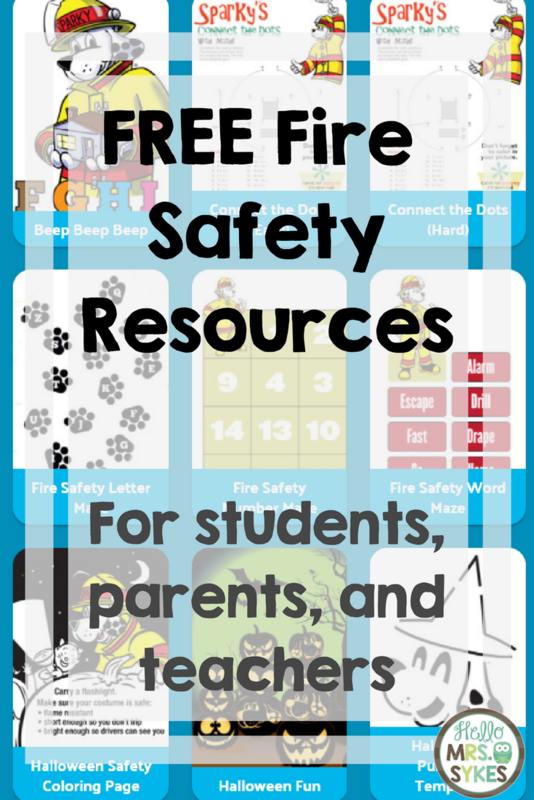 Overall, I hope you enjoy using these resources in your classroom to help students learn the essentials of fire safety (it's not just Stop! Drop! and Roll! ), while keeping their literacy skills sharp.